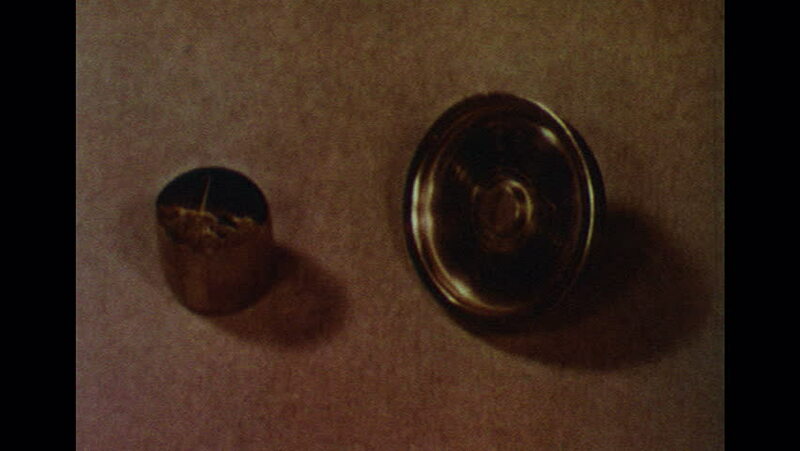 UNITED STATES 1960s: Close up of transistor base, hand picks up base. Machine forming transistor bases. hd00:19UNITED STATES 1960s: Close up, hand rotates nut. Machine forming nuts. hd00:21Surfing internet with screen reflection in glasses. Man in glasses is surfing web internet in a dark room. Closeup candid face shot. Vertical format video. hd00:24United States: 1940s: goggles hang from man's pocket. Man uses machine. 'Goggles must be worn' sign. Man works without goggles. Man sharpens tools on machine. Sparks from machine hit man's eyes.